Contempo Property Holdings Inc and Bamboo Bay Community gathered 24 Cebuano artists to mount an art exhibit called “Halad Kaniño” at the condo development on Hernan Cortez St., Mandaue City. The exhibit centers on the Santo Niño and is timed with the celebration of the Sinulog festival, which honors the Holy Child. The exhibit opened yesterday and will run until February 12. EXHIBIT OPENING. Contempo founder and CEO Beverly Dayanan (2nd from left) and exhibit organizer and painter Celso Pepito (4th from left) lead the ribbon cutting to mark the opening of the Halad Kaniño art exhibit at the Bamboo Bay Community in Mandaue City. 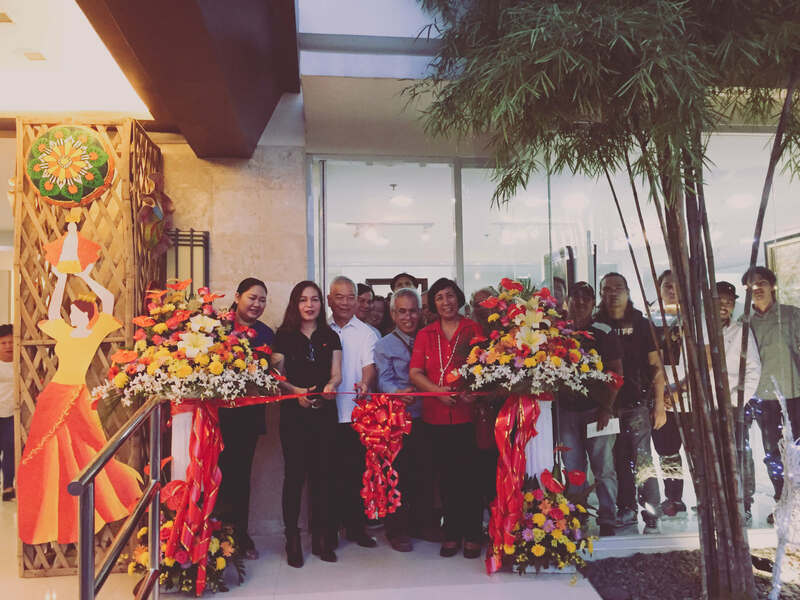 Contempo Property Holdings Inc. founder and CEO Beverly Dayanan and painter Celso Pepito, who organized the show, led the ribbon cutting to mark the opening of the exhibit yesterday. The art show is a tribute exhibition of paintings, sculptures, and drawings of the Santo Niño. It features the works of renowned artists Jonathan Abellana, Lida Aguilar, Ryan Roy Barral, Arnel Belda, Irvin Benlot, Cesar Castillo, Methuzael Carredo, Mary Evangeline Caya, Rhodesa Cruzet, Jess Dinglasa, John Dinglasa, Reynan Dingal, Ramo de Dios, Efren Enolva, Eunice Florendo, Jet Florendo, Jun Impas, Ann Lubanga, Guido Lubanga, Clint Normandia, Joseph Ong, Celso Pepito, Fe Pepito, Jose Mari Picornell, Garry Watin, Antonio Vidal, Marlone Ylanan, and Sonia Yrastorza. A painting by Jun Impas. Bamboo Bay is the flagship project of Contempo. It is a 1-hectare Asia contemporary development located on Hernan Cortez St., Mandaue City. The company said in a statement that it is committed to support Cebuano artists by holding exhibitions to showcase their works. In April 2018, the condo development had a successful run of its Flower Power Art Exhibit, a collection of art pieces that captured the blooms and colors of summer. It was also held at Bamboo Bay. To learn more about the the Halad Kaniño Art Exhibit, you can call +6332 231 0001 or +6332 231 0002.